Work Hours 9AM - 6PM Daily. Last admission 0530PM. 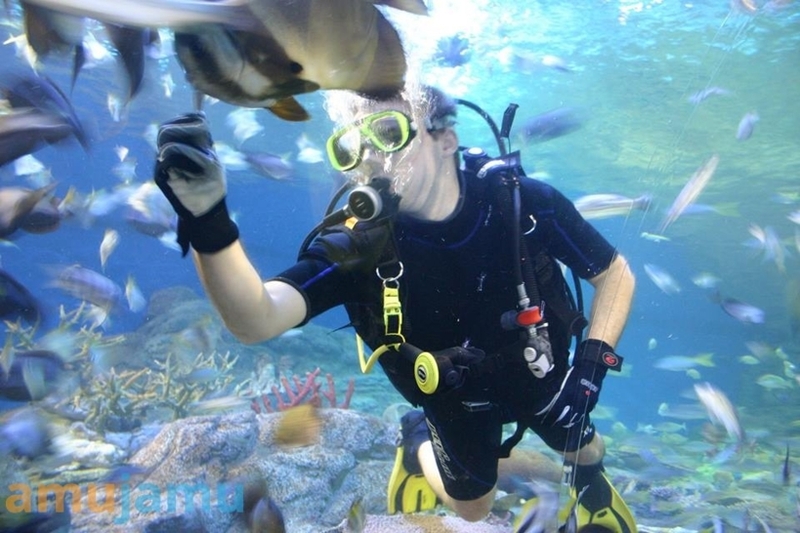 Underwater World Pattaya is only one aquarium in Pattaya city, home to sea creatures and colourful coral. Wander through more than 100 metres of large clear acrylic tunnels and observe sea creatures all around you as you dive deep into the sea. The tunnels have 3 zones: Coral Reef Zone, Shark and Stingray Zone and Giant of Siam Zone, as well as a new Jellyfish Zone, the biggest collection and display of jellyfish in Thailand. In each zone you can read more about the different species so you learn as you go.